If you have a water logged car, then you can definitely consider it as to be a useless junk car. And it goes without saying that you won’t be able to drive a car that is damaged by flood. Also, flood damage and corrosion can cause irreparable damage to the electrical and mechanical systems of the vehicle, and so it leaves your vehicle completely useless. As a result, you are usually left with two options. Either incur the heavy cost of repairs of your water damaged vehicle, or leave it to sit in your garage to deteriorate. But there is actually no need to go through any such hassles. Because now you have just found the most convenient and fuss-free way getting rid of your useless clunker in Sydney. That’s true. The staff here at Wreck Monster can buy your vehicle for cash, regardless of how badly it has been damaged by the flood. We are the best auto wreckers based in Sydney. We buy automobiles of any condition, even those that are not roadworthy anymore. And we don’t just buy vehicles with the motive of making profit out of it. Instead, we recycle and dispose flood damaged cars, trucks, vans, Utes and SUVs in a manner that is environmentally reasonable. Why you can rely on our cash for car services? Wreck Monster is a reputable and trustworthy auto wrecking company based in Sydney. We are licensed, insured and bonded, so you 100% trust us to get the best cash for clunker services. Instant cold hard cash – We will take away your water damaged vehicle in just a couple of hours. We leave you with cold hard cash in your pocket. So, your trusty vehicle has suffered severe misfortune of the watery variety. And now it is unable to drive you anywhere due to the severe damage that it has taken on. You will be understandably upset. But you still need to take action, because you will need to replace the vehicle in question. And your new machine will need somewhere to go, and the water damaged car is most likely taking up space. You will require the superior services of the best car removal cash for car service in all of Sydney, NSW. That would be us here at Wreck Monster! We are Sydney’s leading cash for cars service, and we will happily remove that vehicle, after buying it off you, of course. Our skilled team of seasoned professionals has all the experience necessary to look at your vehicle and know how much it is worth based on how many parts are re-usable. Even if none of them are salvageable, all the steel on your water damage auto will be recyclable. Just make sure you sell it to us as soon as possible before the rust spreads too far. If you have a vehicle that has been totally submerged in water, it won’t be running anymore and repairing it won’t be a practical decision. So, the only easy option you are left with is selling it to us here at Wreck Monster and getting your pocket filled with heaps of cash. We are the most experienced and accredited auto wreckers and recyclers in Sydney. We will buy your damaged wheels to wreck it for parts and components that can be refurbished and used as spare in working vehicles. And it won’t just be you that benefits from this transaction. 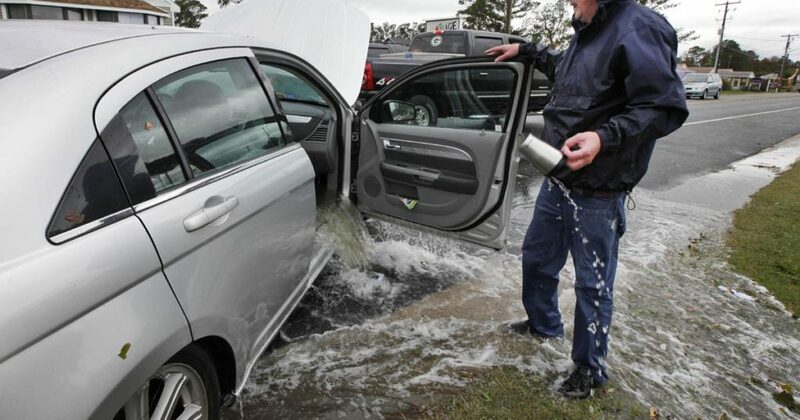 By recycling the steel on your water damaged car, you will be helping in the fight against climate change! This is because the process of mining for the ores that steel is made out of produces more carbon dioxide than the process of recycling. On top of that, mining creates other forms of pollution as well. Sell that water damaged wheels and you can rest easy at night knowing something important. The fact that you haven’t contributed to the planet’s environmental woes any more. You have actually provided a small bit of help. There are instant cash for cars services that require you to pay for a tow truck to transport your auto to their premises before they purchase it off you. Others will be nice and perform the removal for you using their own equipment. However, they will then turn around and offer you less money in order to pay for the costs. We don’t do either of those things. When you deal with professional staff at Wreck Monster, you don’t need to deal with the trouble of transporting your vehicle to our establishment on your own. We provide all the conveniences tour clients so as to make the selling process of their water damaged automobiles as easy as possible. Our technicians work around the clock and so we assure free removal for the vehicles all over the Sydney. There are no fees for removal and you don’t have to wait to get the promised cash payment. We provide a quick and easy removal process for a vehicle that leaves clients with cold hard cash in hand. It doesn’t matter what make or model your water damaged car is. We will buy it regardless of whether it is a Toyota, Mazda, Nissan, Volkswagen, Mitsubishi, Suzuki, Subaru, Daewoo, Holden, Skoda, Audi, BMW, and Chrysler, Daihatsu, Ford, General Motors, Honda, Isuzu, KIA, or any other make you can think of. Call now @ 0401 333 393 & get a free quotation.